Amazon also plans to offer free music videos with advertising to people visiting its retail website, two of the people said. A search for Bruce Springsteen CDs, for example, might yield an option to watch the "Born in the U.S.A." video. There's a chance that this might debut at Amazon press event next week, but that's just speculation. I don't know for a fact that Amazon is going to launch this program but I can confirm that they have the tech. In fact, they're already testing it. Over the past couple weeks I have watched a couple pilots for Amazon's original series, and I can confirm that both pilots had adverts which played before I saw the show. They've been showing the ads since at least February, according to AdAge, and Amazon is even inflicting them upon Prime members. I never watched more than a few minutes of either show (they just weren't that interesting) so I cannot say whether there were commercial breaks, but I know that I saw adverts before the shows. So yes, this story is real, and Amazon has the tech. But I hope they don't deploy it. The adverts on Hulu are so annoying that I stopped using the service. The breaking point was when they started putting 2 adverts in front of movie trailers, thus forcing me to watch two adverts in order to watch a third one. That was just ridiculous. And if Amazon is willing to inflict the adverts on Prime members then you know that non-paying viewers will have an experience as bad as what Hulu users go through. The ad-supported streaming video project also would give Amazon an opportunity to flex its advertising muscle. Amazon has been quietly building out a service for placing ads on its own and other websites. Market researcher eMarketer estimates the unit will generate nearly $1 billion in sales this year, rivaling AOL and IAC/InterActiveCorp. By comparison, YouTube—which streams a combination of music, television, film and original content such as home videos—generated about $5.6 billion in sales last year through advertising, eMarketer estimates. 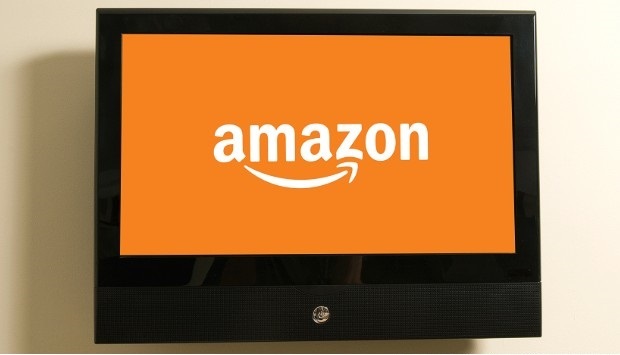 In addition to the ads before the pilots, Amazon has recently begun offering Prime users the ability to watch the first episode of select TV shows from across the spectrum of networks. When you watch one of those, it ha ads interspersed Hulu-style throughout. I was less annoyed than surprised. I cut the cable a long time ago, so I’m well-accustomed to waiting through the few ad blocks to resume watching a show. I just figured it was Amazon who was subsidizing the freebie episode in the hopes you’ll buy more.